It's been over a week since Tita Cory died. Many words have been spoken, many titles have been given to her, many praises have been showered to her. This is my way of saying "Thank You" to her for the democracy that every Filipinos are enjoying today. I met her personally when I was in college. She was a guest speaker on this leadership conference that I attended last 2003. Her speech was very solemn and very meaningful. She enlighten us on the importance of the youth as next leaders of the next generation. She spoke gracefully and you can really feel her power in those simple yet tremendous words. Every Filipinos love her and I was teary eyed while watching the necrological services and on the last mass. Her funeral service was a huge proof that people power is indeed the best way of showing the unity for a common goal. Analysing on what happened that day, I can say that Arroyo administration should not proceed with the amendment of constitution as this may result to EDSA 4. She should just finish her term and should show her sincerity of uniting the Filipinos. During these painful days for the Filipinos, I can say that I am proud to be a "Pinoy" and will continue to love my country. 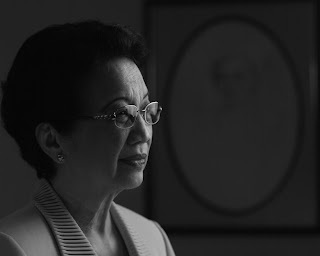 Filipinos are really nationalistic and to her, thank you President Corazon Aquino, the "Saint of Democracy".